Winter is coming, so now's the perfect time to stock up on new music to learn during the colder months! 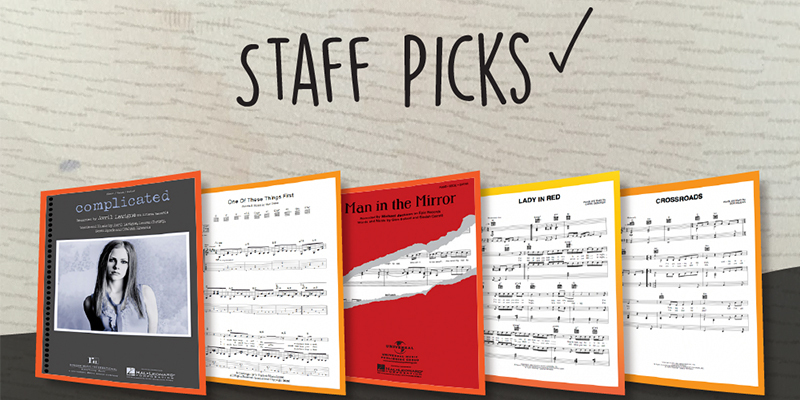 This week's Staff Picks include some truly beautiful tunes from Chris de Burgh, Nick Drake, and Don McLean, as well as some critically-acclaimed pop songs from Michael Jackson and Avril Lavigne. "Released in 1986 as the second single from the album Into the Light, this song was responsible for introducing Chris de Burgh’s music to mainstream audiences worldwide. This flowing piano ballad includes pleasant chord changes and a nice melody line that makes this a must-have for any pianists’ collection." "Nominated for two Grammy awards for Song of the Year and Best Female Pop Vocal Performance in 2003, this song is ideal for those rainy days." "It's over seven years since the King of Pop passed away, but with so many incredible songs to his name, it's easy to forget he isn't still with us. 'Man In The Mirror' is a great song to play on piano and its message is as apt today as it was back in 1988 - "If you wanna make the world a better place, take a look at yourself and then make a change". "Nick Drake's "One Of These Things First" is a wistful, lilting work of rare beauty that deserves a slot in your acoustic set." "Crossroads is a poignantly beautiful song from Don McLean's "American Pie" album, which hit #1 and whose title track is one of the most famous songs of all time. "Crossroads" is lesser-known, but masterfully constructed - both lyrically and musically."